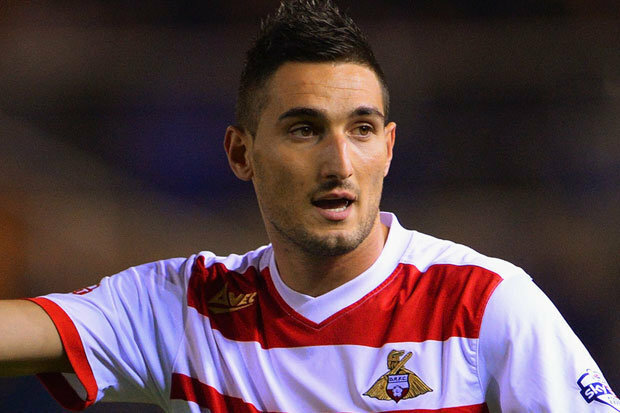 Is Federico Macheda a winter signing target of Napoli? With the winter transfer window quickly approaching, managers from around the world are getting ready to upgrade their respective squads and maybe considering what players from their own team could be released as well. Federico Macheda has been a free agent since August of 2016 and there have been rumors emerging linking the Italian attacker with Napoli but the 25 year old player has recently talked about his current situation and Macheda said that he has not had any contact with Napoli, despite of all the recent reports and rumors that have been flourishing in recent times. The 25 year old attacker said: “As of today, nobody has contacted me”. Ever since Macheda’s time at Old Trafford reached it’s end, he has been joining a number of clubs either on permanent deals or on loan deals but in general his career has not lived up to what many people initially expected from the Italian attacker after he had managed to stand out in the youth academy of Manchester United and even getting playing time with the main team of the Premier League club at a very young age. Watford is turning out to be a more realistic and likely club that Federico Macheda joins as the Italian player is currently on trial with the English outfit and so far has been making impressive performances after scoring goals and helping out the club in securing points. If Federico Macheda does indeed join Watford in the upcoming winter transfer window it can give the Italian player a 2nd chance for him to make a return to the Premier League and hopefully this time around have an enjoyable time by snatching consistent appearances and goals on a regular basis which is something that he wanted to do with Manchester United but failed to accomplish but it might happen if he does join Watford.